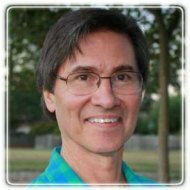 Napa Therapist: Timothy Locke - Therapist 94559. Life brings challenges, whether it might be conflict in an important relationship, a persistent feeling of sadness or a loss that feels overwhelming, or fears that keep us from living more fully. I will help you draw on your own ability to move through difficult situations in new ways. As a pastoral counselor, I can also help you make use of resources from your faith tradition or spiritual path when it is meaningful to you. I work with individuals, couples and families to resolve conflicts and support growth. I can help you listen to the important people in your life and communicate in ways that can be heard, find new life after loss, practice self-care in stressful situations, or explore your inner world to bring your unique gifts to life. My training includes pastoral care as a chaplain in a major medical center, graduate degrees in counseling and over 20 years of experience as a therapist. I also direct Four Springs (www.foursprings.org), an interfaith center for experiential studies in religious wisdom and psychology in the Jungian tradition. I am a Presbyterian minister and a Fellow in the American Association of Pastoral Counselors. I am a graduate of Princeton Theological Seminary (M.Div. and Th.M), and the Claremont School of Theology (Ph.D.). I have worked with Samaritan Counseling Centers in Upland and Palo Alto, and I have taught pastoral care and counseling at San Francisco Theological Seminary, where I also provided clinical supervision for counseling students. I established Napa Interfaith Counseling in 2009 in cooperation with clergy from a variety of denominations and faith traditions here in the Napa Valley.